This architectural and interior design project aims to redesign the existing Vila Vita Parc‘s spa. 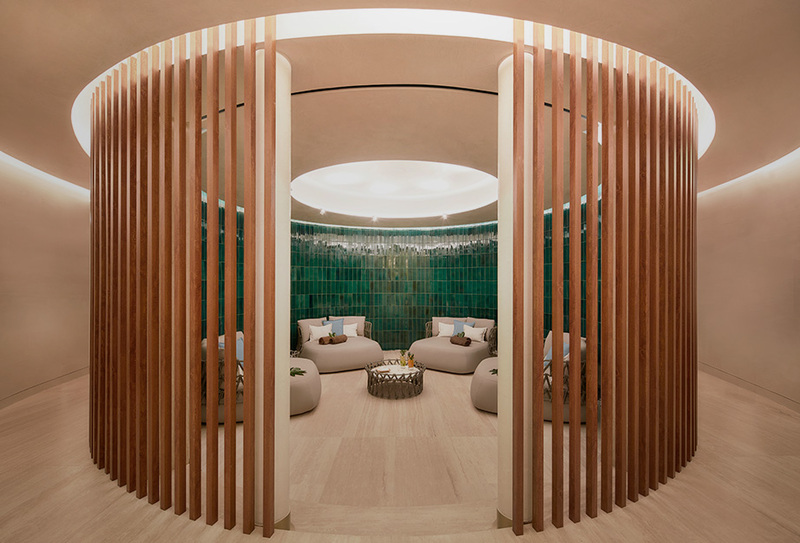 Combining the resort spirit with a contemporary design, the spaces were designed with natural elements, such as wood and stone, invoking a general sense of serenity, welcome and well-being. The functional layout is divided between busy and calm atmospheres, with the user invited to relax to the sound of water. The aforementioned areas are indirectly connected to the outdoor spaces, ensuring a controlled lighting system that heightens the experience of nature and allows for the enjoyment of a poetic language of light.